I’m always excited for a new month to start. It’s a great opportunity to reflect on the past month. I am excited for Spring, new opportunities and brighter colors. However, I do feel like 2014 has flown by. I mean, really how is it April already? One thing I know about living in an ever-connected world, it’s important to take time out to just enjoy the moment. This past weekend, my husband and I did just that! We are both aficionados when it comes to cheese. So, it’s not uncommon for us to order a cheese board with a bottle of wine at local restaurants. Let me let you in on a little secret. You can have a fancy cheese board without the fancy prices. 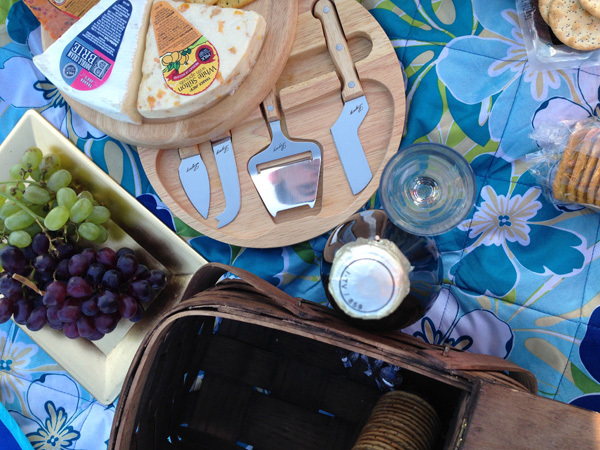 This weekend we went to Trader Joes, and spent a good deal of time staring at the abundance of cheese options. 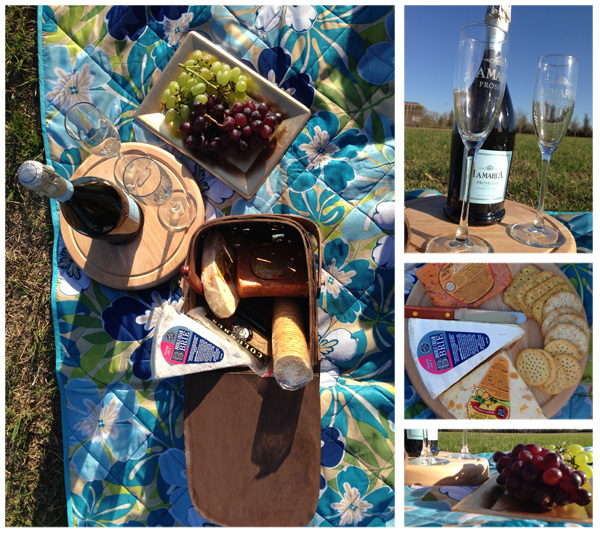 The idea was easy, perfect cheese + perfect weather + fabulous bottle of bubbly = amazing Sunday afternoon. Thanks to La Marca, we had an excellent bottle of Prosecco chillin’ (see what I did there) in our fridge so all we needed were 2-4 fabulous cheese options and 87* types of crackers. *May be a slight exaggeration. Why are crackers so addictive? Picnic blanket. We already had one similar to this. Picnic basket (I got mine from a local thrift store for $0.62 – yep, less than one dollar! Some sort of plate/cheese knife solution. We already had this fancy cheese board/knife combo (Cost $20). Clearly, you can opt for items you have at home. There are quite a few parks near our house, so we just packed everything up in the car and drove to the closest and least crowded park. I could not have ordered more perfect weather. Clear skies and a light breeze set the tone for a very enjoyable afternoon. 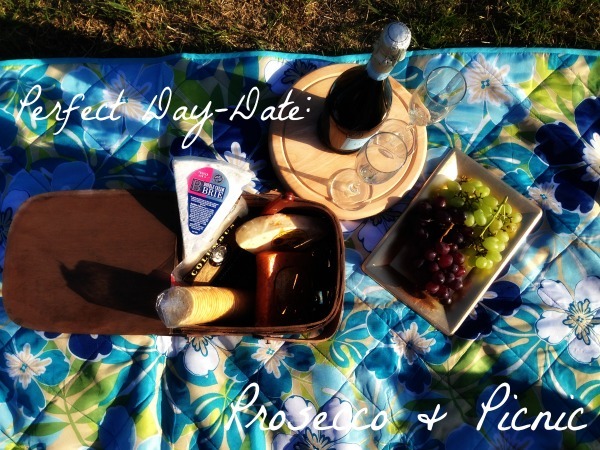 The Prosecco was absolutely perfect for an afternoon relaxing on the grass and enjoying the sunshine. It’s lightly sweet, crisp, and refreshing on it’s own, which was a perfect compliment to the strong flavors we selected in our cheese and crackers. I think the brie and Prosecco was my favorite combo. Here are the three cheeses we ended up with. Trader Joe’s White Stilton with apricots – Crumbly yet creamy white cheese with deliciously sweet dried apricots. Pair this with a buttery cracker and it could easily be its own dessert. Trader Joe’s Double Cream Brie – Easily spreadable Brie with a decadent texture and light flavor. 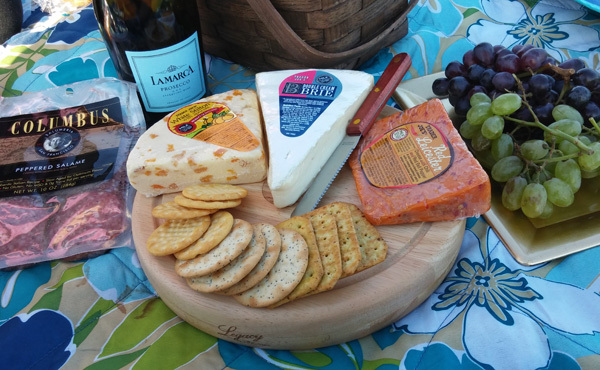 Trader Joe’s Red Leicester – Semi-hard strong flavored cheese with chili and red bell pepper brings a nice kick to round out the sweeter notes of the apricot Stilton and Prosecco. I was quite happy with the combo. The spicy was a good balance with the Apricot one, and well Brie goes with everything. The Apricot was a welcomed last minute addition, they were having a sampling event and I’m so glad we stopped to try it. We tried out the Pinterest trick of freezing grapes to keep our Prosecco cold! It worked pretty well. Now, tell me that’s not the best budget date idea? The White Stilton with Apricots is on my list now! And it sure look like you had a gorgeous day for your picnic!! Sounds beautiful–we don’t do it often but I know my husband would like to try a few more “adventurous” cheeses sometime! 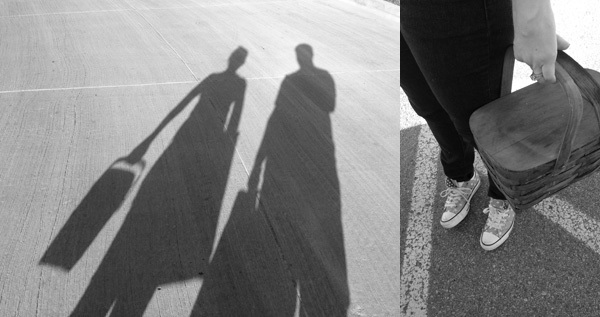 Stopping my from the SITS sharefest and loving this afternoon date idea! And frozen grapes? That is pure genius!